The Los Angeles Lakers will surely be parting ways with head coach Luke Walton this offseason, and a number of possible replacements have already surfaced. Among them, NBA Hall of Famer Jason Kidd. According to ESPN's Adrian Wojnarowski, "Kidd will be among the serious candidates for the Lakers coaching job if Luke Walton is dismissed." Kidd's alma mater, the University of California, cut ties with men’s basketball coach Wyking Jones over the weekend and it is believed that Kidd is the school's "primary target," according to The Oregonian's John Canzano. That said, ESPN's Marc J. Spears notes that Kidd "is still strongly interested" in making a return to the NBA as a head coach. 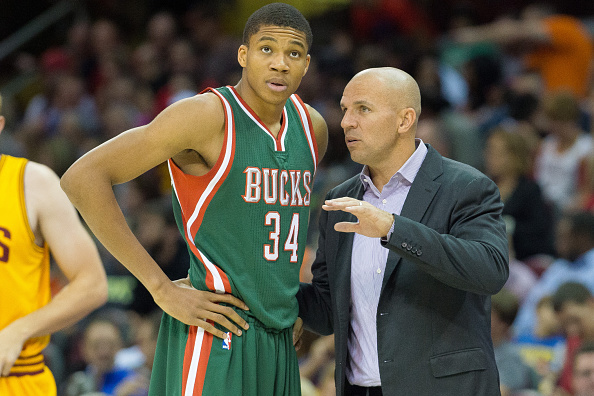 During his five seasons as a coach with the Brooklyn Nets and Milwaukee Bucks from 2013-18, Kidd boasts a sub-.500 record of 183-190. Of course, Kidd isn't the only candidate for the Lakers' soon-to-be vacant head coaching position. Yahoo Sports' NBA Insider Chris Haynes believes that LeBron's former coach and former Lakers guard, Tyronn Lue, is an "obvious candidate" to replace Walton. Haynes was a guest on "The Herd with Colin Cowherd" last month, when he briefly discussed the state of the Lakers (H/T Clutch Points).